I really enjoyed your piece on Rose Green, the 76 year old champion sprinter that you posted on May 22nd. She is wonderful! And, you’re so right, inspirational. But you know what? This ‘Father Time’ language of yours is looking a bit dated. Aging is changing, guys! Listening to your piece and the incredulous tones of your anchor-people, it seems however that you might not have noticed. Granted, you gave full credit and respect to Rose Green as we all should. Taking up competitive athletics at 75 is fabulous. Aiming to break world records after only a year in the field is little short of awesome. In no way do I want to detract from her joyful and disciplined attitude to her sport nor from the results she’s achieving. But there are lots of us grandmothers, grandfathers, great grandmothers and great grandfathers out there, living our dreams and making new beginnings. 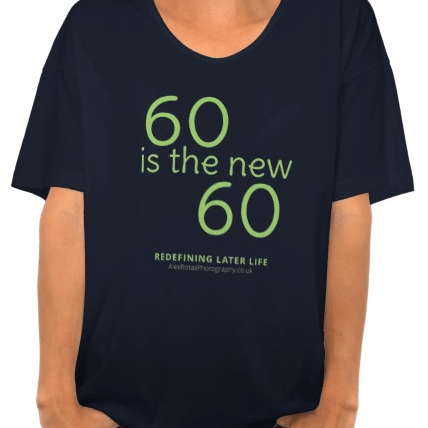 Post 60 no longer marks the end, the downward curve of the arch of life, an arch suggesting we are empowered and vital only during our middle years. You hit 60 these days and you may have 30 or even 40 years ahead of you. Your 60s and your 70s? Pah! Small potatoes. There’s a whole world of competitive athletes who, like Rose, may have rediscovered a youthful love of track & field after a 50 year break. There are others who might even be taking it up from a standing start (if you’ll forgive the pun) and coming in from another sport or indeed from no sport at all. I take photographs of competitive athletes in their 60s, 70s, 80s and 90s and I’m looking forward now to capturing Rose in action. Those world records that Rose talks about, they’re not to be sniffed at. The men’s world record for 100m in the 70-74 year old age group is only 3 seconds slower than Usain Bolts’ Olympic gold medal time. It’s 12.77 seconds. Imagine! Women in their 60s run 100m only 3 seconds slower than the open world record for 100m. That record that Rose is aiming for in the 75-79 year old age group? That would be 100m in 15.82 seconds, held by Christa Bortignon of Canada, another supreme athlete and (great-grandmother). Think about that too. It’s fast. Of course it’s not just athletes who are reframing that potentially long period of our lives when we’re over 60. Jane Fonda calls the years between 60 and 80 the Third Act, and instead of viewing our lives as an arch, she says let’s use the metaphor of a staircase. Listen to her TED talk on the subject. 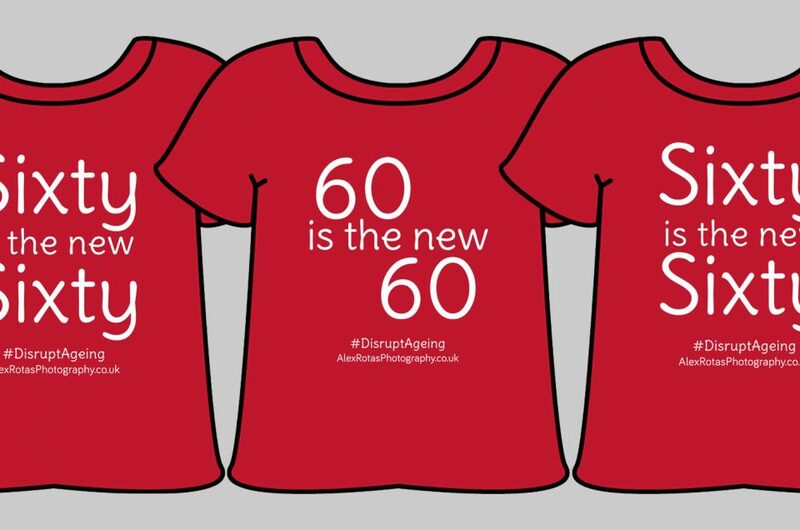 Let’s #DisruptAging, says AARP! Take a look at the wonderful work of Growing Bolder and see how they are publicising the lives of many remarkable and inspiring older people. They’re encouraging us all to add that letter B to the process of growing older and let it become one where we grow bolder. Check out Marc Freedman, eloquent CEO of Encore.org who says 60 isn’t the new 40, but it’s the new 60. 60 isn’t what it used to be, no way José. Those years between 60 and 80 are years where people have the wisdom of their experience and ability to do something with that experience. Take a look around this, my website too, come to that. There are plenty of us out there! So yes please, keep those stories coming about the Rose Greens of the world. But maybe curb your incredulity just a little bit. It’s that incredulity that well, to put it bluntly, offends us. There’s still time for us when we’re over 60, 70, even 80 or 90 to set ourselves new ambitions, new goals and new dreams. We are doing exciting things with our lives and yes, that includes all the normal stuff like having lovers too. Please don’t be surprised by this. You’re going to see more and more of these stories; we are not slowing down! We’re hitting our stride. Ripe old age? We’re in our prime! Photographer, Writer, Speaker: challenging perceptions about older age. Well stated! Thank you, Alex. Thanks so much for taking the trouble to comment, Sheri. I really appreciate your encouragement. Thank you so much for speaking up. I am 59 years old and about to start Yoga Teacher Training. Yes I’ve had the internal dialogue struggle of “am I too old to start such an intense program” and decided to go with it!!! Thanks to people highlighted on Growing Bolder and people like you. Thank you for writing. That’s wonderful that you’re starting your yoga training aged 59. You’ve got so much time ahead to share our passion. I’m so glad you decided you’re definitely not too old to start now. Good luck with it. It would be good to know of your progress. If you feel like staying in touch, I’d be very pleased to hear from you. I am a crossfit athlete woman who at 61 is constantly amazed at what my body can accomplish at this age. This is a wonderful season in life that allows us the opportunity to pursue athletic endeavors that might have been out of reach during our younger years while we were busy raising families. It is good to know there are other master’s athletes out there pursuing their passions. It’s true isn’t it? I’m a late-comer to running myself, largely inspired by the people I photograph. I too am thrilled (and amazed) when I find myself accomplsihing more in my mid-60s.Thanks so much for writing in. That you so much for your insightful letter, Alex. As an 80 year old fashion blogger who has just recently launched a business and a brand, I was also disappointed with the ageist and condescending language used by the FOX 5 anchors as well. Times have changed and the language we use to describe aging and the older generation needs to change along with it. There’s nothing “ripe” about me or my posse of fabulous old broads. Many of us are still working….we travel, date and yes, still get jiggy with it. We wear stilettos, take “selfies” to post to Instagram and can throw back a few cocktails with the best of them. Thank you so much for your comments, Dorrie. It’s wonderful to get your endorsement but even more wonderful to hear of your own project and to feel your energy and engagement coming through your words. Here’s power to you and to your “posse of fabulous old broads”! I raise my glass to and with you.